Originally from Taiwan, violin teacher Ruth Huang started her music journey first as a pianist at age four then as a violinist at age six. She came to Canada shortly afterwards to continue her studies. Among her teachers are Robert Davidovich, Andrew Dawes and Nancy Di Novo. Ruth graduated from University of British Columbia in 2003 with a Master’s Degree in Violin Performance. As a performer, she has played in numerous orchestras and chamber ensembles. She is one of the founding members of Pacific Rim String Quartet. 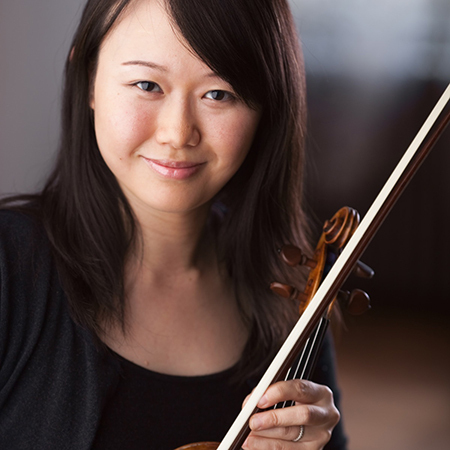 Ruth is a certified Suzuki Method Instructor and directs a private violin studio in Vancouver.